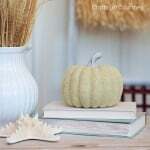 I've been so excited to get started on some Spring crafts for the house. I got a TON of succulents sent to me and I've been dying to do a quick project with them. I have a pretty wide ledge on my kitchen window seal and I thought they would be perfect there. 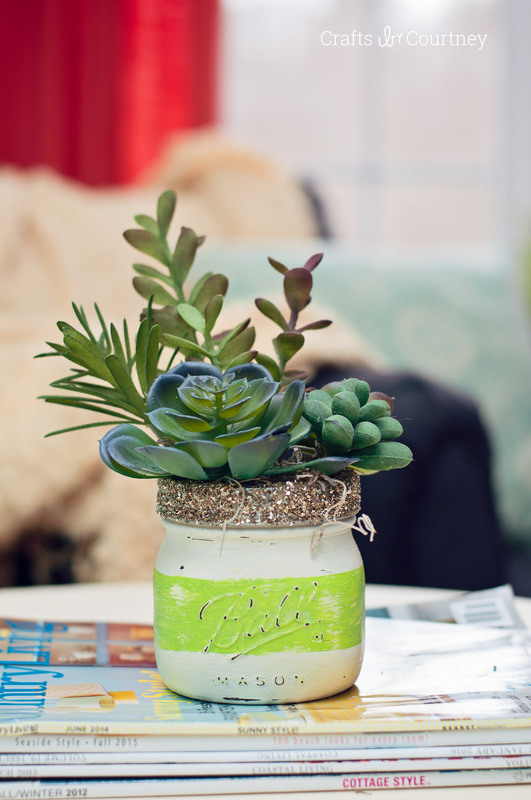 Plus I love using mason jars when crafting, they are simply the BEST! 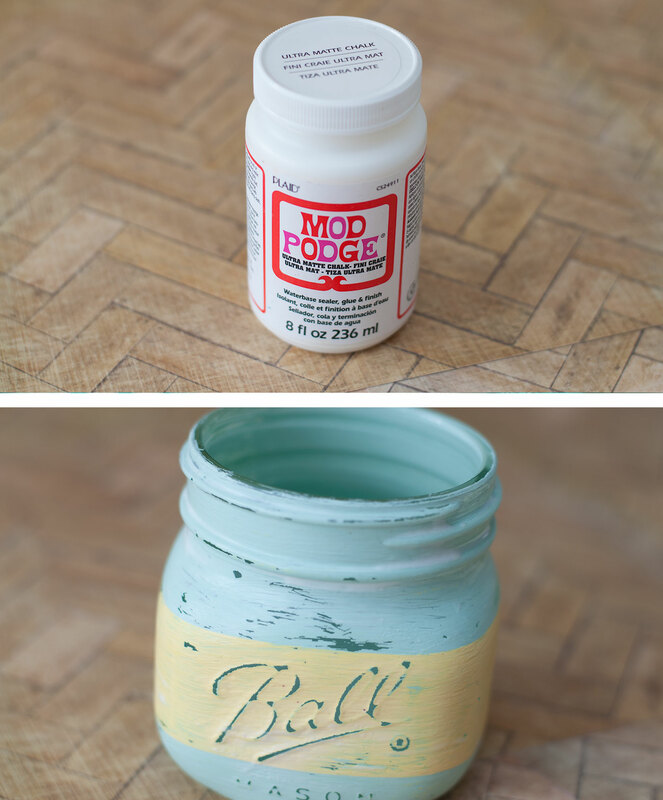 Next I distressed the jar with some light sandpaper. 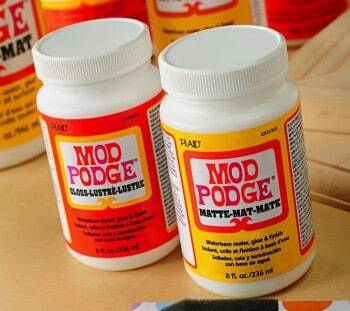 Then I covered the jar with some Ultra Matte Chalk Finish to seal my paint in. Now my favorite part! Adding the glitter! I wanted to give this craft a little something extra so I decided to add some glitter to the lid. I covered the entire lid with my Mod Podge and sprinkled my glitter on top. Let dry 20 minutes. Now let's add our succulents! I used a piece of dry foam and cut it to fit the inside of the jar. Then I used some moss for the center and added my succulents! 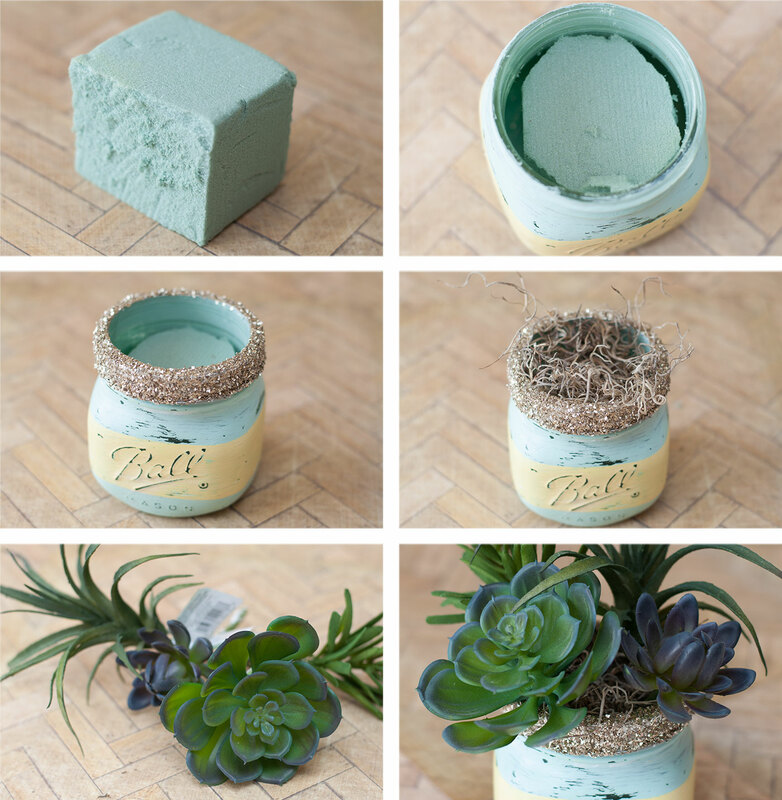 The dry foam works great and was so easy to push the succulents into. 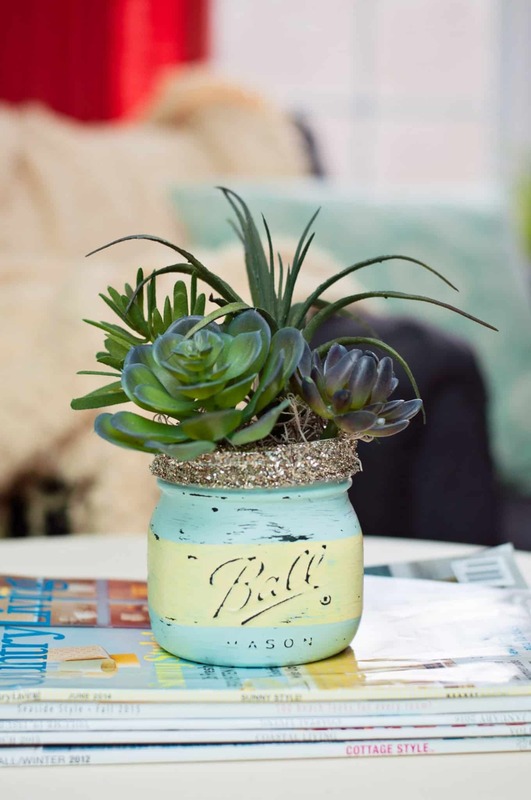 I think these DIY mason jar succulents turned out great, a perfect touch of Spring for the house. Next I want to make some nautical ones for Summer! 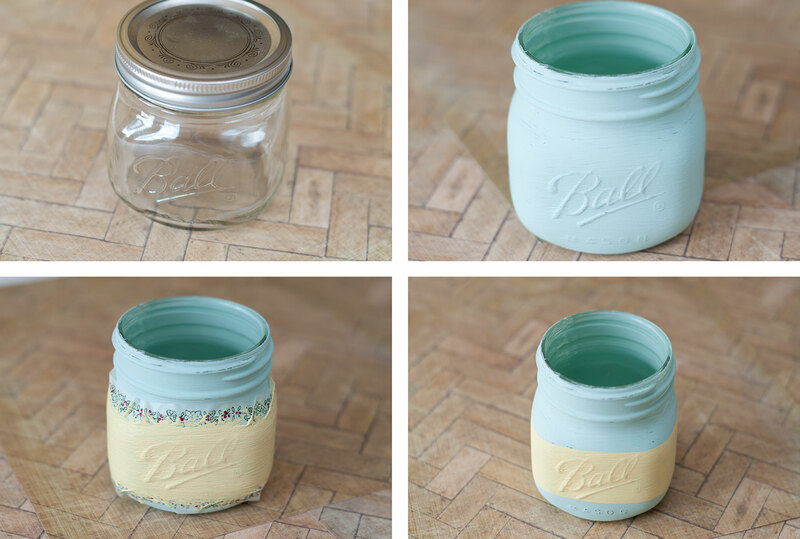 I hope you enjoyed today's quick and easy chalk paint mason jars!! I can't wait to get the house ready for Spring. I'm in North Carolina and it's really starting to feel like Spring here. Flowers are popping up all over the place and trees are blooming!! I love the look of succulents! I’ve been meaning to add some to my home for ages! Where did you manage to get so many succulents?? I would love any you don’t want. Lol. Seriously what a fab idea. 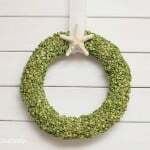 I’m looking for a craft to do for Mother’s Day for my supported community living group at Easter Seals young adults. Our budget is nil. I donate everything and it’s expensive to me! They would love this. Thanks for the ideas! 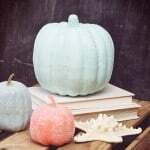 These are fake – Michaels has them! Thank you! How long will the succulents last? These are fake. Thank you! Are these really succulents or artificial? A great idea. 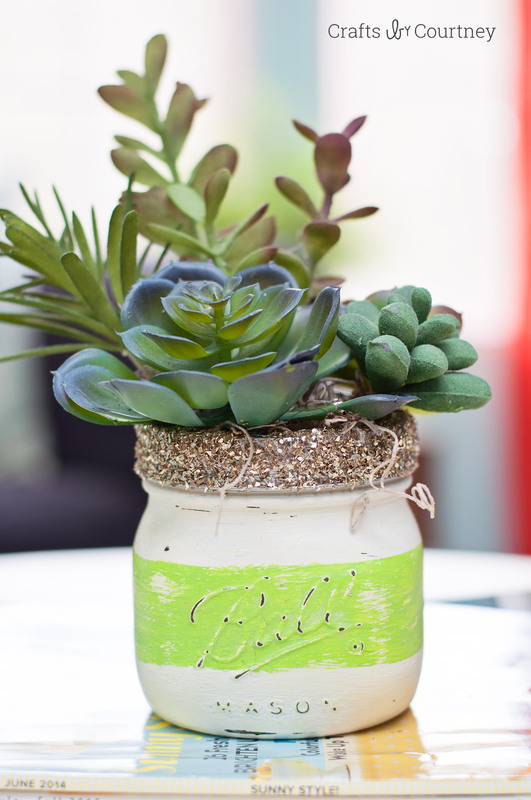 Succulents need soil, nutrients and water, just like any other plant. Air plants, on the other hand, do not. Hopefully these are artificial succulents. Yes, these are fake. Thank you! Are the succulents artificial? 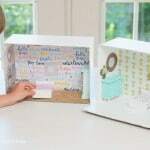 I love this idea for Mother’s Day gifts. Really cute!! The succulents look real. Haha. Great idea .I’ve been meaning to add some to my office. 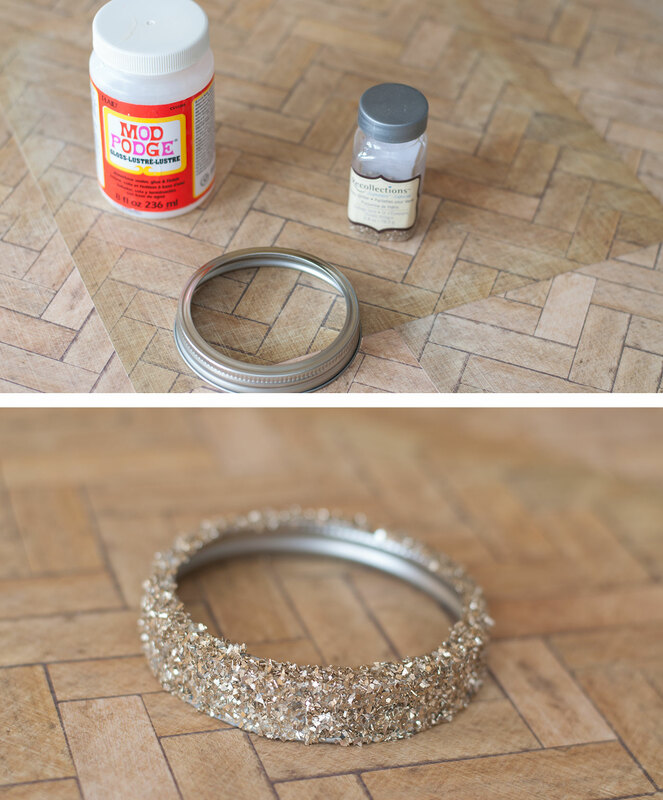 Love this, but instead of using glitter, sand around the rim would be cool too!! !